With the new Captain Cook, we are very close to the original model, except a few details. The first major difference that hit me is the lack of cyclops above the date, and I don’t miss it. Another change that I could notice is the dial colour, it seems to be a darker shade of brown with a reddish hue instead of the greenish, almost khaki colour. The sunburst dial itself is quite sophisticated, I would say unpredictable at first. When I opened the box that came in the mail, at the first glance it looked good, but only when I took the watch outside to the natural light of the afternoon, the dial came alive under the thick sapphire crystal. Despite its size, I find the dial to be quite masculine. 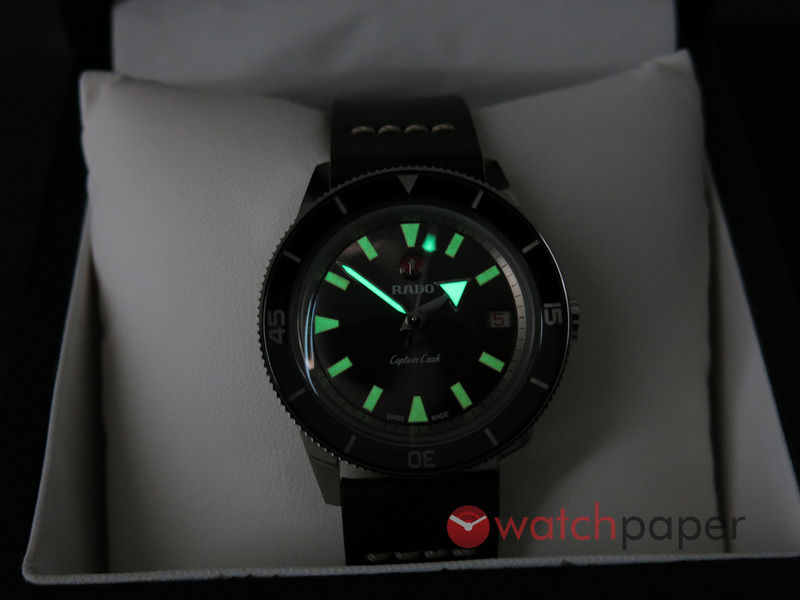 The lume-filled indexes are bold and the broad-arrow hour hand looks fearless. The minute marks are pushed out to the chapter ring, leaving more space for the indexes to spread out. It goes without saying, the readability is very good, just as you would normally get from a tool watch and the generous amount of Super-Luminova makes an excellent job in darker situations. The domed crystal deserves a closer look because it just makes everything on the dial a lot more interesting. Depending on the angle you will look at the watch and the ambient light, the dial will always change and morph to reveal another of its unexpected facets. 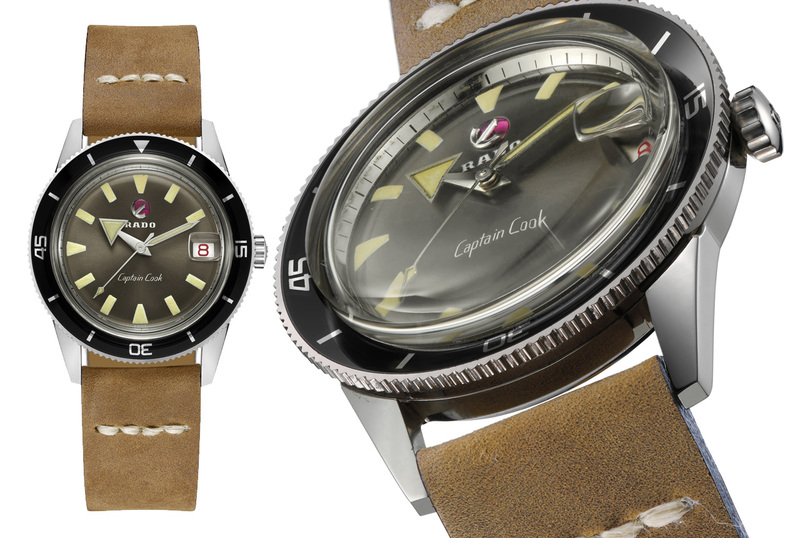 One fascinating aspect of the Captain Cook watch is its profile. 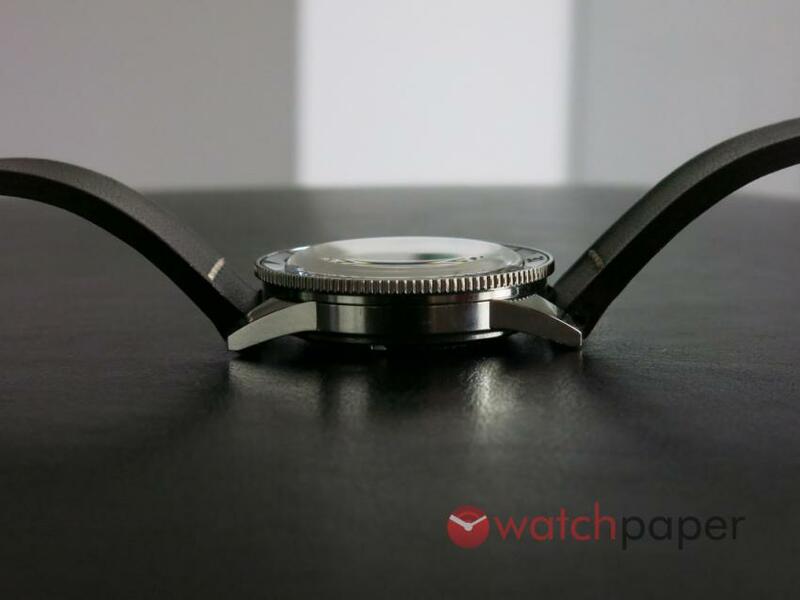 The thick crystal is domed, contributing to the 11.1 mm height of the watch, yet a large part of it is protected by the bezel which has a unique shape. 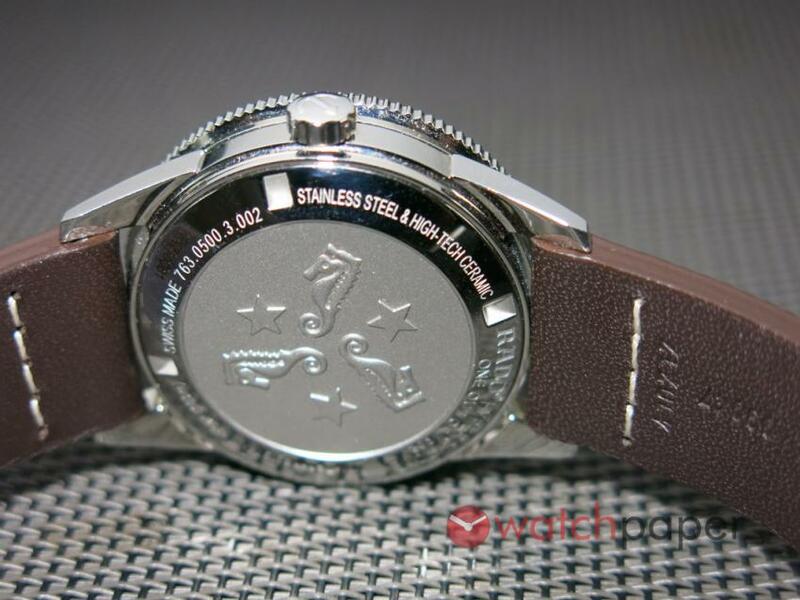 Instead of being flat, as we usually would find on other watches, it has a downward slope towards the crystal. Now, this is interesting because it lets the crystal to show its beautiful dome, yet there is less chance of banging it. Extra bonus point to Rado! 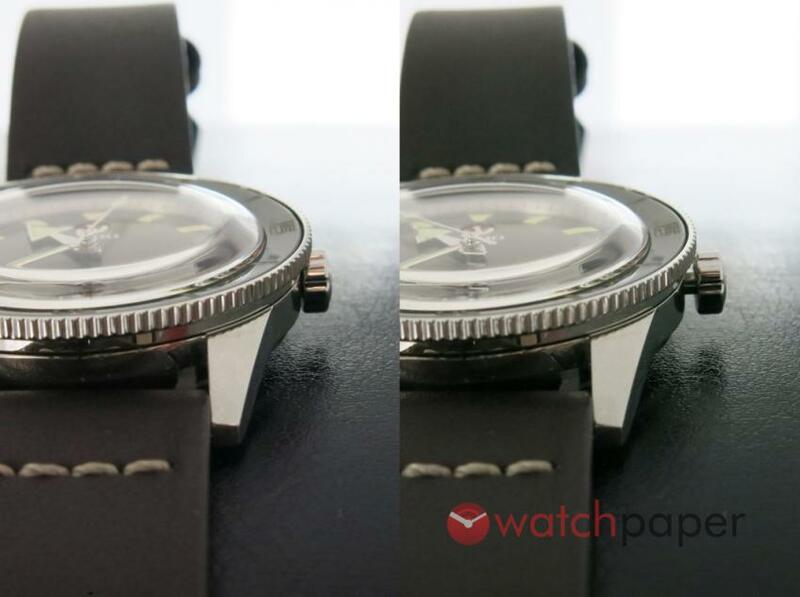 The rotating bezel has a black high-tech ceramic insert, yet, it has no lume whatsoever, which somehow defeats the purpose of a rotating bezel. Not a big deal, after all, nobody would go diving with this watch, it is water-resistant to 10 bar (100 m), so it’s OK for showering and eventually swimming, but without a doubt, it is not a diving watch. There was one detail though, that really bothered me and I’m sorry Rado, but I will have to take back that bonus point. As you can see, the bezel is wider than the case and it is actually cowering, or if you want to call it this way, it is protecting the crown. I have a small wrist and my fingers are not exactly sausage size, yet I still found it challenging to adjust the time and especially, to wind the watch. Would the crown been made a little bit longer, maybe by a millimetre or two, adjusting the time would have been a lot easier. 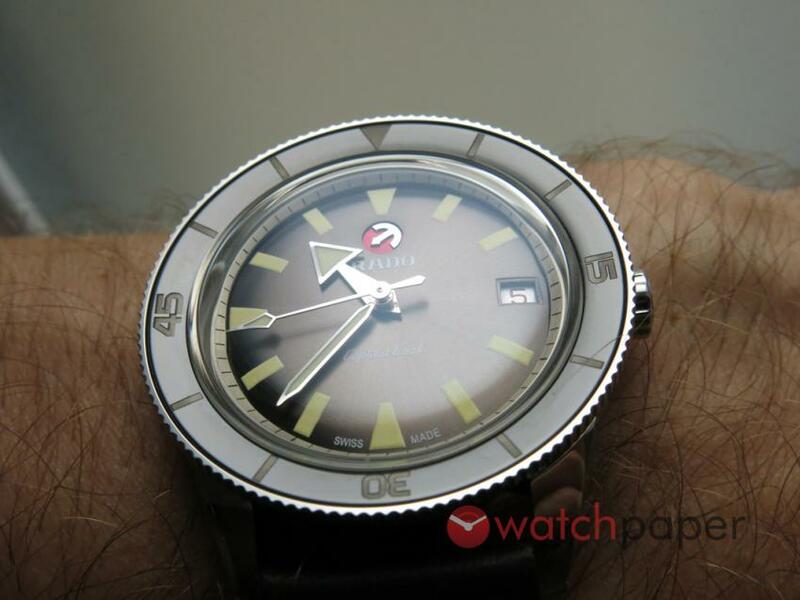 But I should stop complaining because the Rado HyperChrome Captain Cook is a gorgeous watch. The size, at least for me is perfect. Even if you have a larger wrist, it will still look great, it looks like a vintage watch, yet it is made from high-end materials, scratch-resistant ceramic bezel and sapphire crystal. A watch built to last. 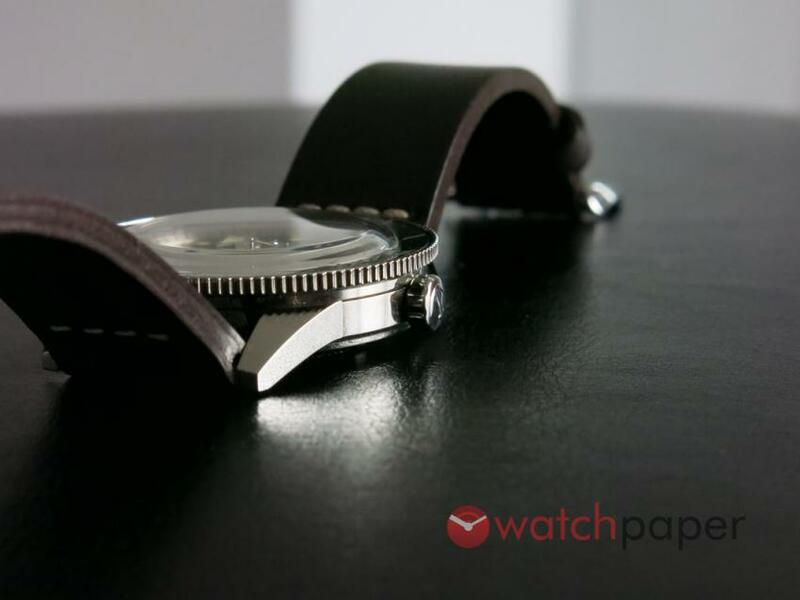 The brown dial and the brown vintage leather strap looks great with blue jeans, it just looks and feels cool. If you have to, it can be easily dressed up, its thin profile and beautiful details make it suitable for formal occasions. The solid back is decorated with three seahorses and three stars, while under the hood, there is an ETA C07.611 automatic movement, with a generous 80-hours power reserve, keeping excellent time. I have a huge respect for Rado, it is one of my favourite brands because they have the guts to innovate, to be ahead of times when it comes to watch design. Because of this, the Captain Cook watch has a rather special place in the Rado universe. 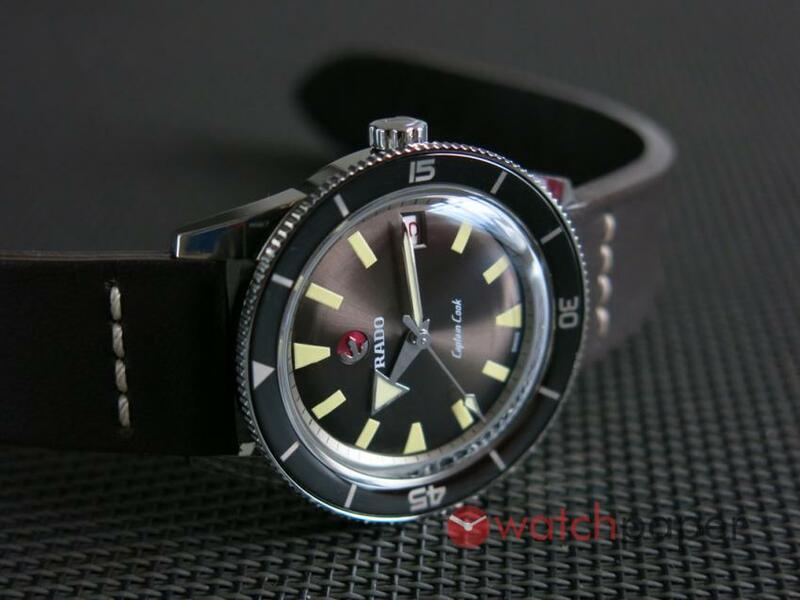 It is a blast from the past, a proof that Rado was always a master of timeless designs. 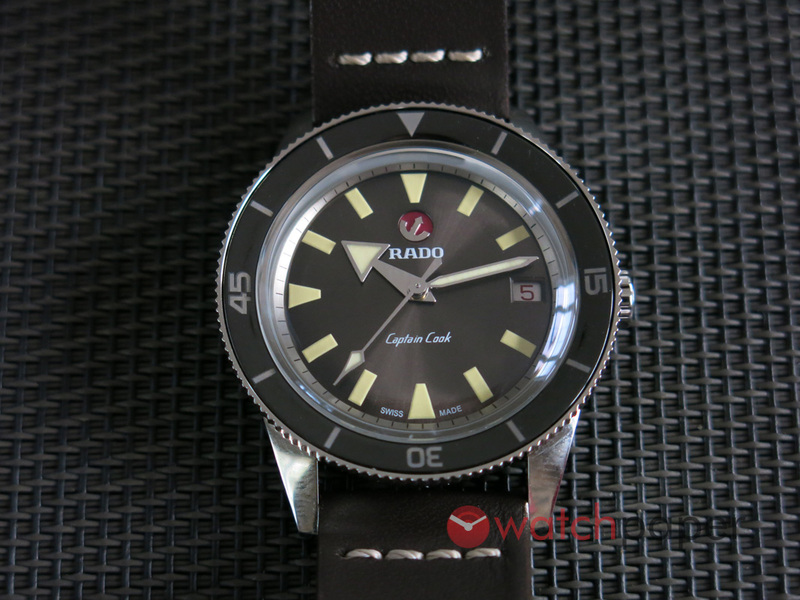 People like vintage watches and neo-vintage watches have many advantages over the original ones, but with the Captain Cook, Rado is coming to a market crowded by Longines Legend Divers, Heritage Diver 43s, Oris Diver Sixty-Fives and many other neo-vintage tool watches. Yet, I’m not worried for the Captain Cook collection, especially the limited edition model that I reviewed here. 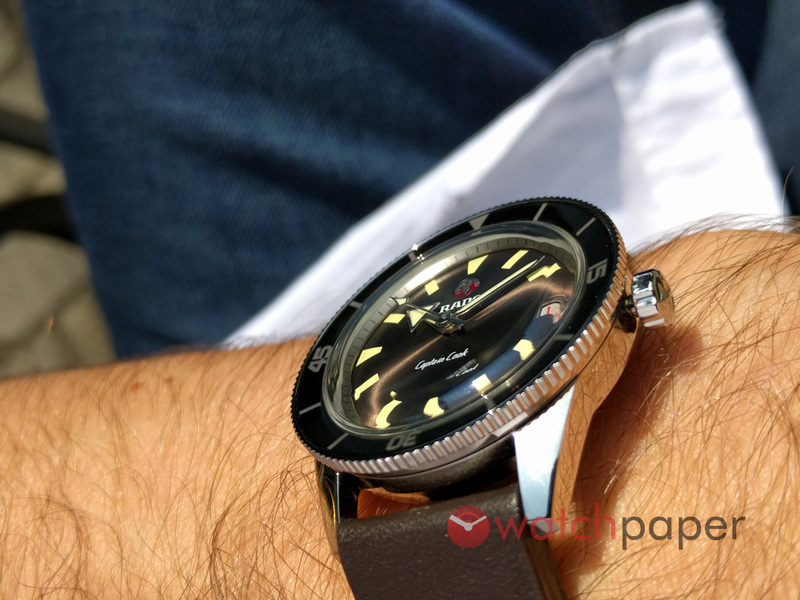 I took it to a RedBar meeting in Montreal and the vintage watch fanatics were all over it.